Founded in Oregon in 2016, cannabis company Grown Rogue is pushing the envelope on what a company in the marijuana industry should be. They are a business that is focused on the environment, the community and educating consumers about the cannabis plant. And while they have products available throughout Oregon, products like outdoor and indoor-grown flower, nitrogen-sealed pre-rolls and extracts including oils, shatter, sugar and wax, that’s not what makes Grown Rogue so unique. What sets them apart from other businesses in the cannabis space is their seed-to-experience model. Grown Rogue has partnered with research psychologists from the University of California – Santa Barbara to design a scientifically validated survey that participants will fill out before and after consumption of a product. Not only does Grown Rogue categorize their strains based on lab-measured data, but they combine those results with feedback from consumers to dig even deeper into specific strains and their effects. 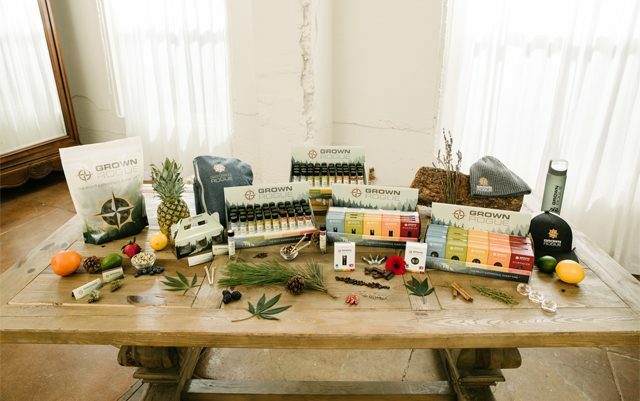 “[We] take consumer survey information as they utilize the product, we merge those two different data sets together to create what we believe is the first scientifically-defensible classification criteria for cannabis products,” Obie told The Marijuana Times. Grown Rogue products get their start at the company’s outdoor properties, which are nestled in two distinct locations in the world famous Rogue Valley of Southern Oregon. The diverse micro-climates, coupled with the GR team’s 50 years of cultivation, results in the most consistent, highest quality product available. Their clean-green certification and phylos certification provides assurance to the consumer and their dispensary partners that the product was Grown Rogue. To find out more about Grown Rogue and the Rogue Study, be sure to check out their website, and see our full interview with Obie Strickler here.